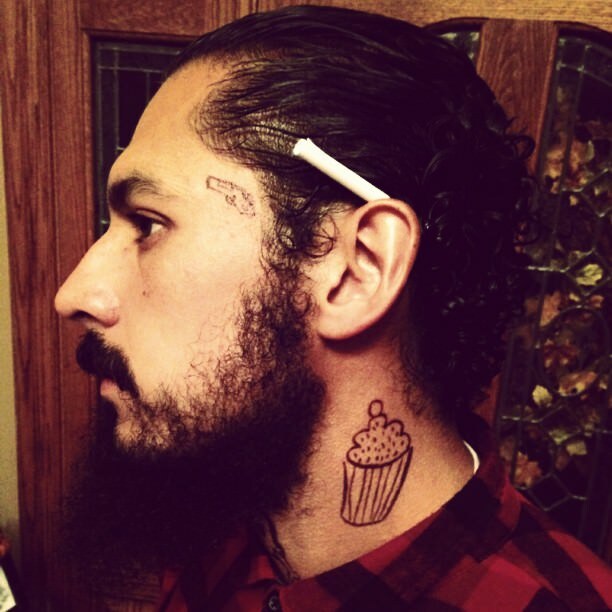 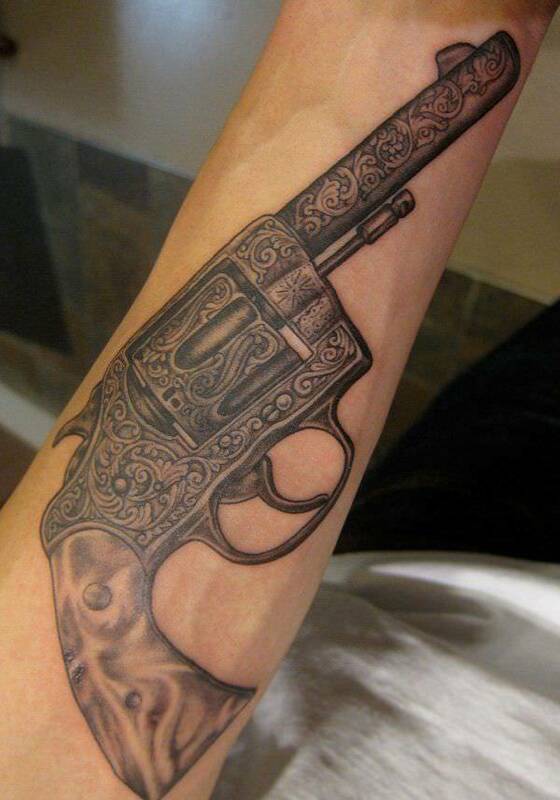 Gun tattoos are a common mark of one’s rebelliousness or outlaw ways. 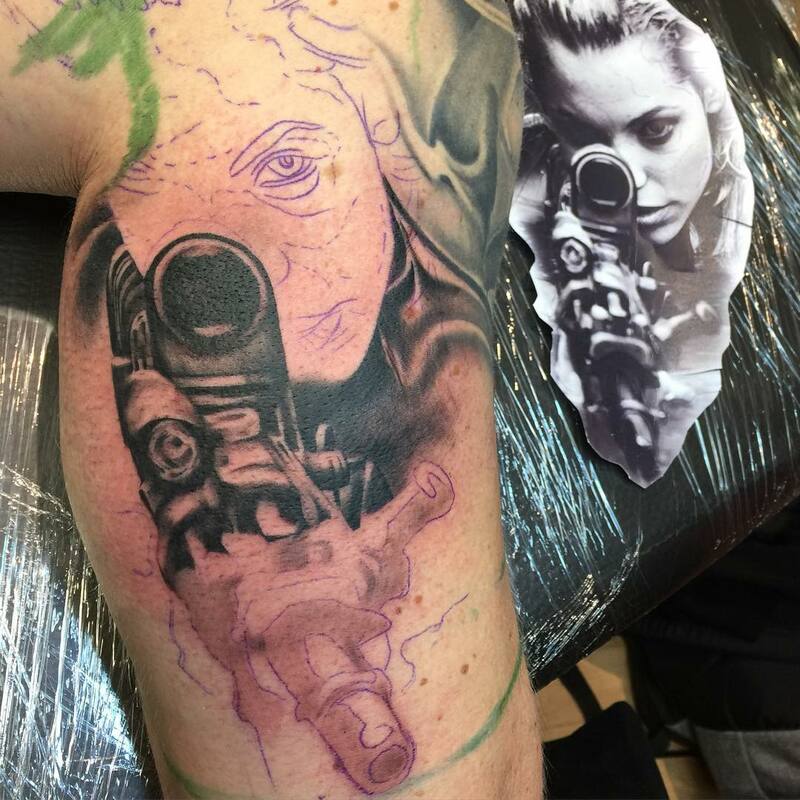 This trend is a favorite among both men and woman. 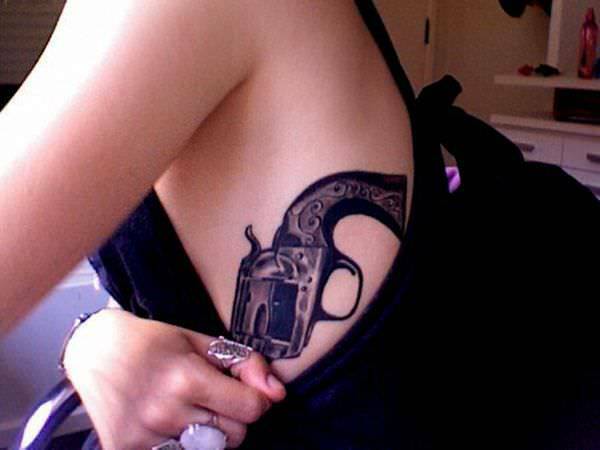 A gun with ribbons is a tattoo design generally for women. 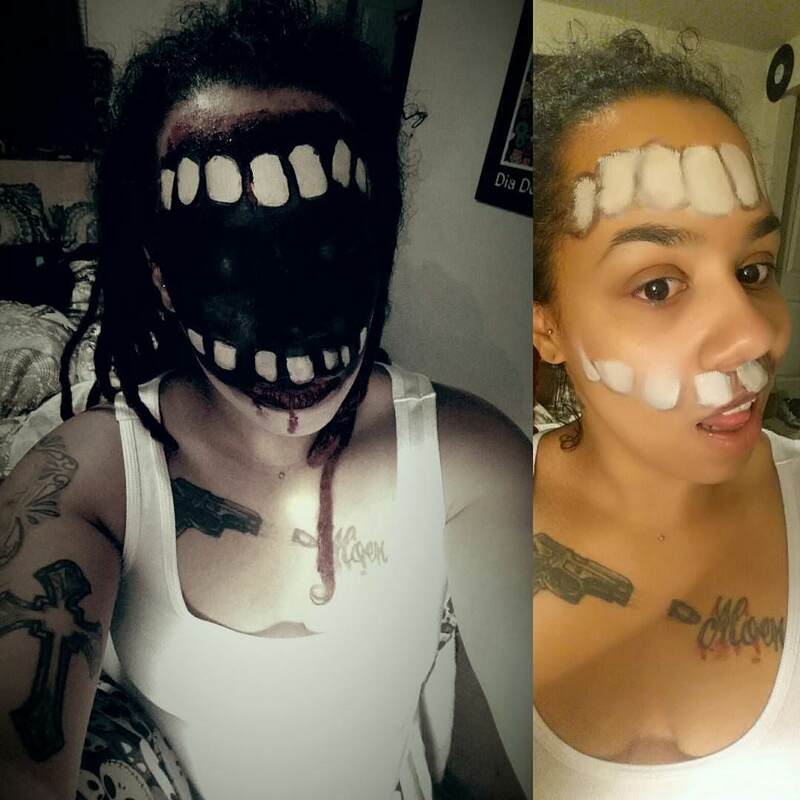 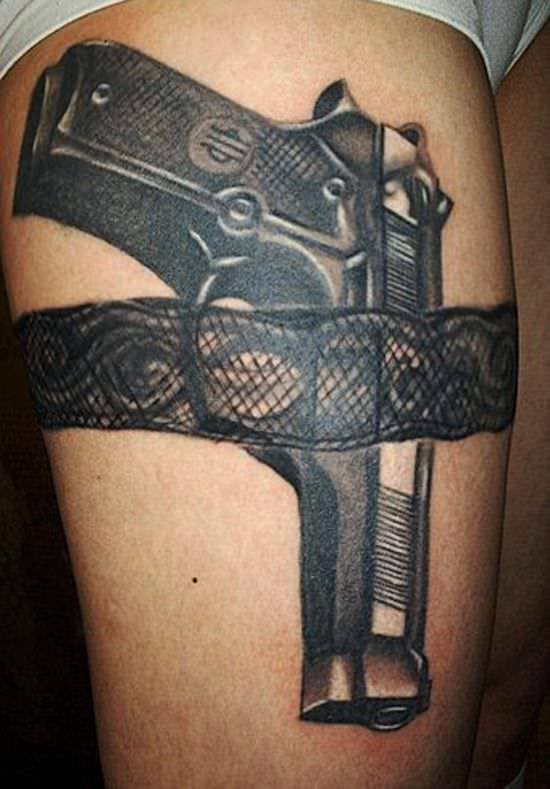 This tattoo is usually placed on your legs or arms. 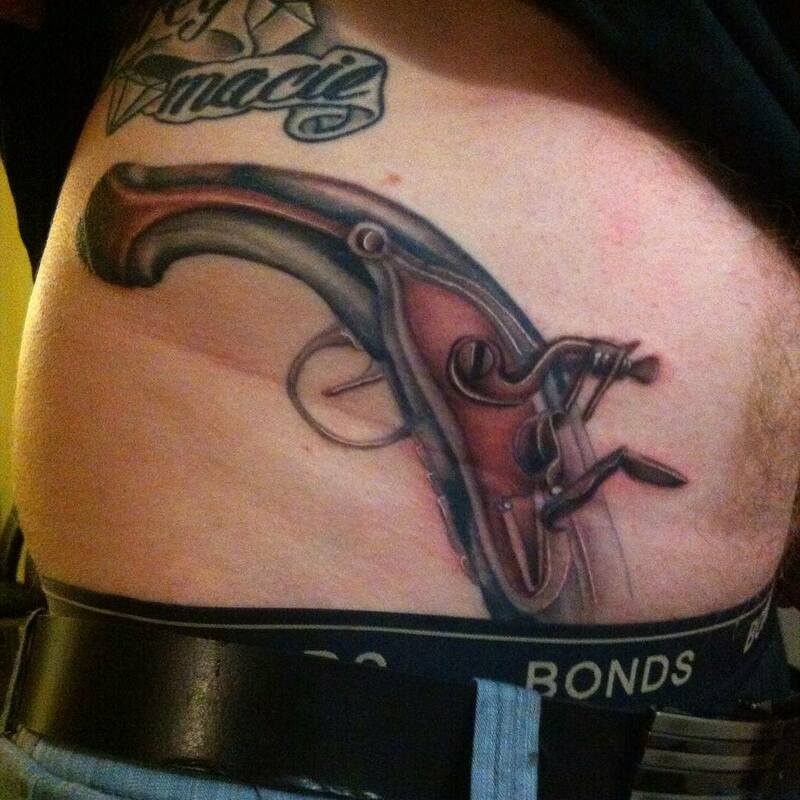 It depicts a gun that is held in place by a feminine ribbon, as many choose the make the ribbon pink. 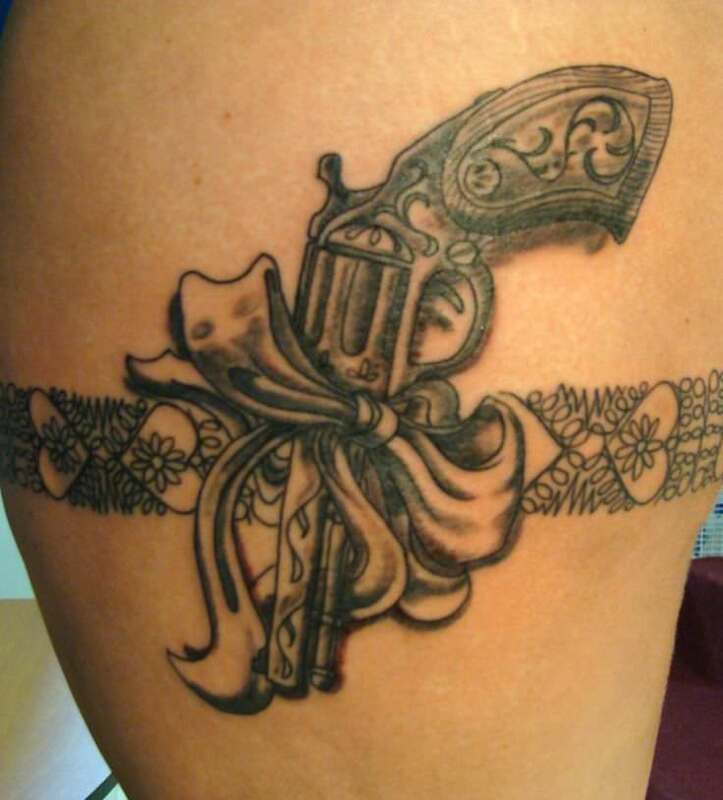 For men who opt for this design, they typically replace the ribbon with a bullet belt to give it a masculine look. 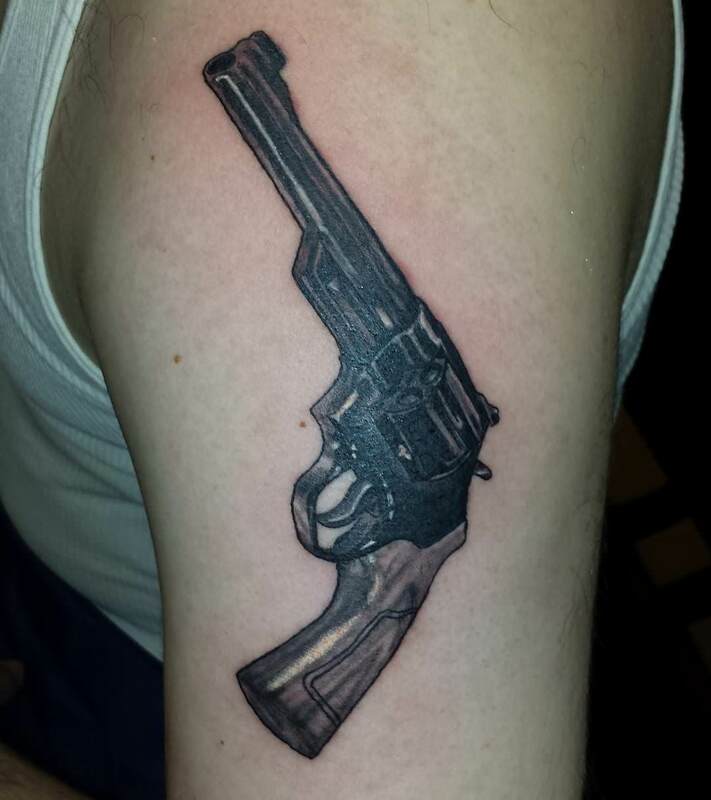 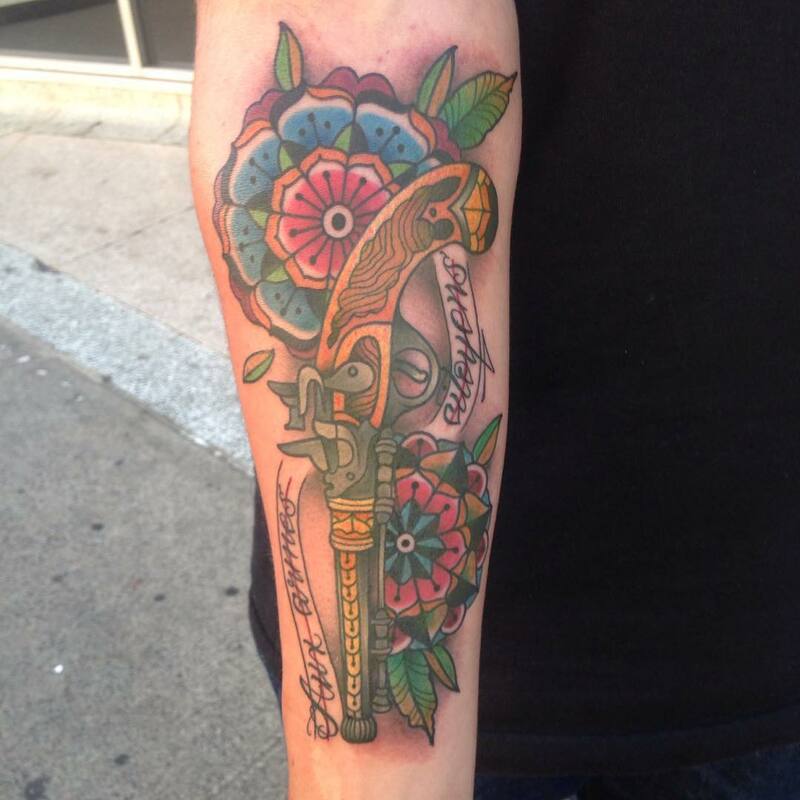 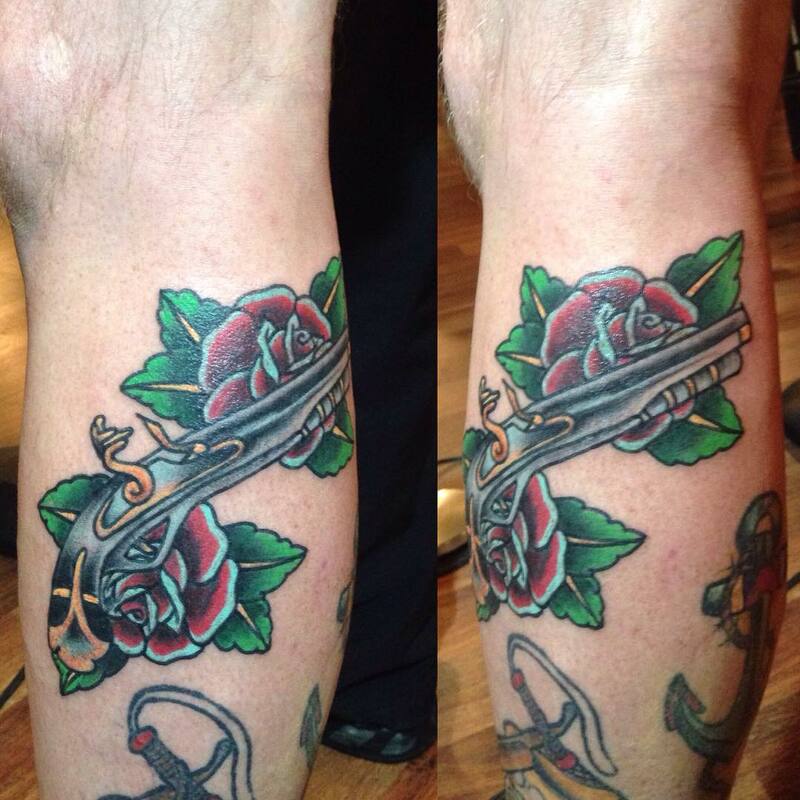 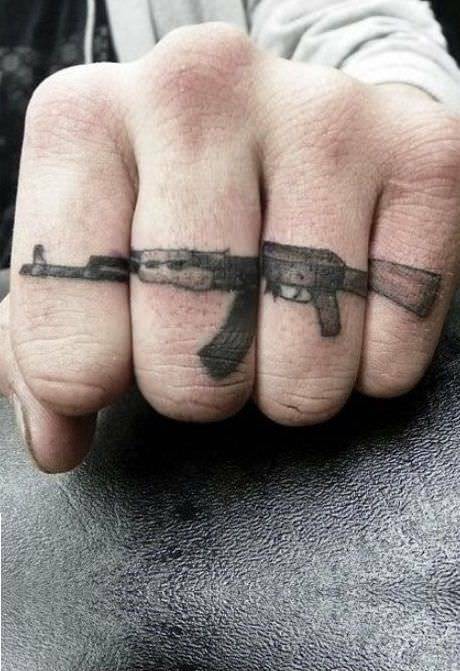 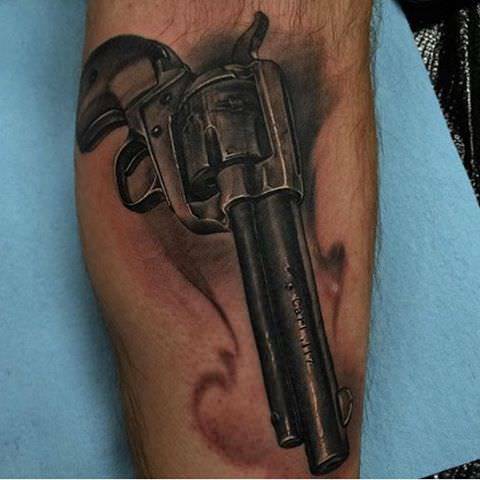 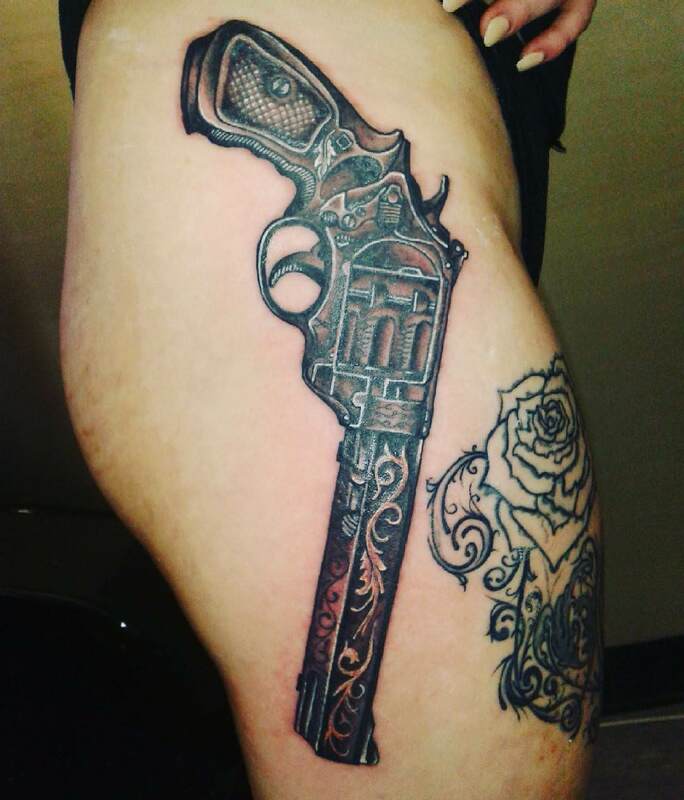 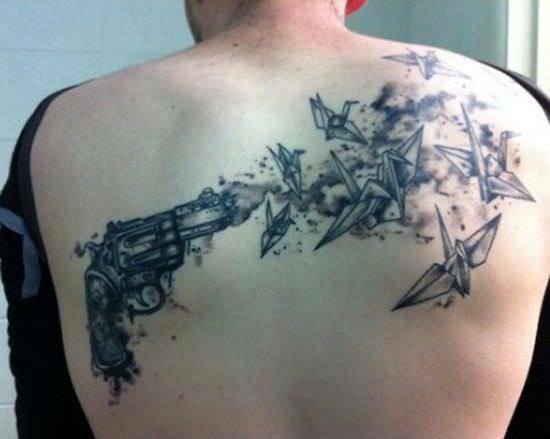 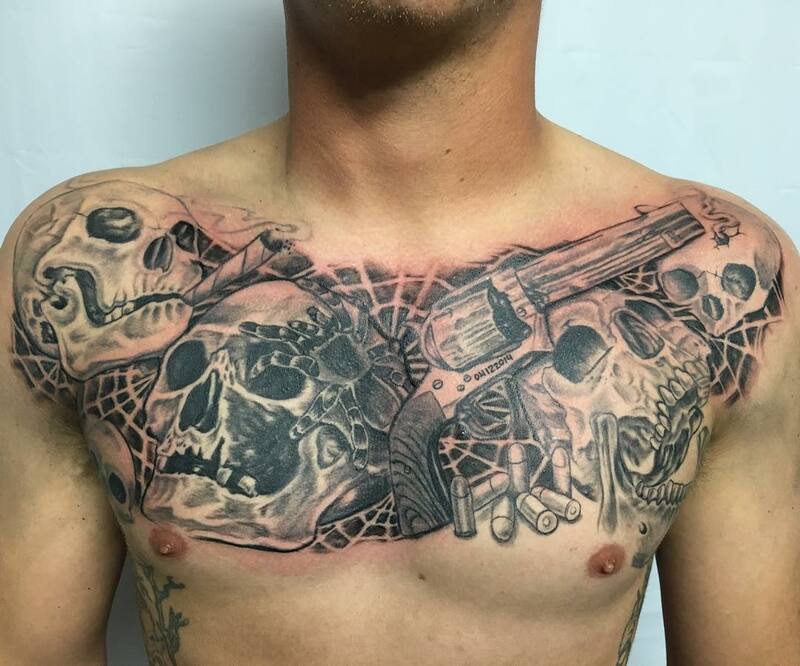 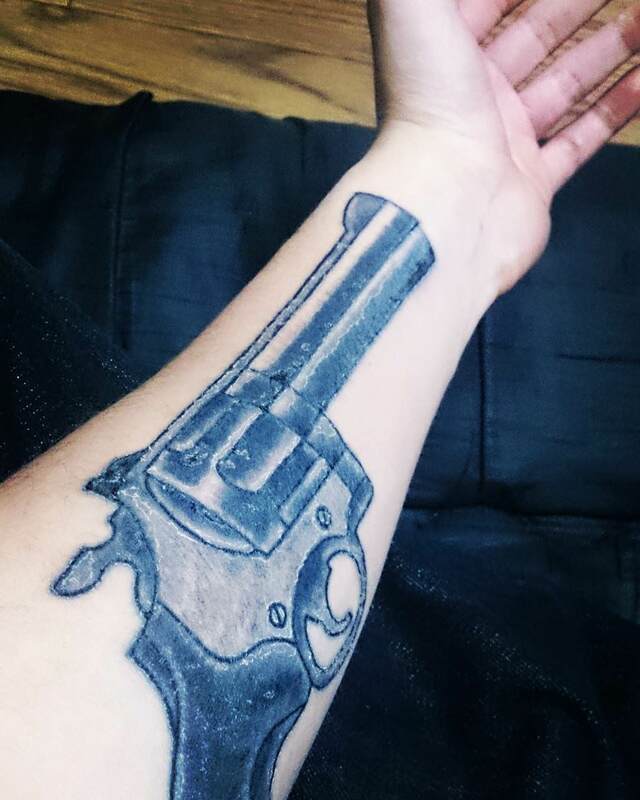 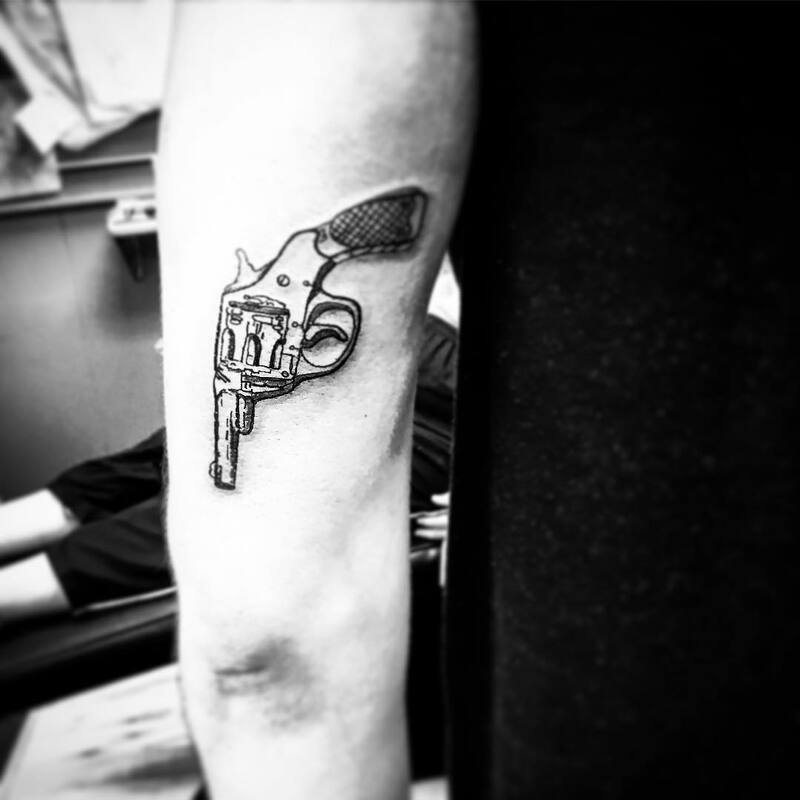 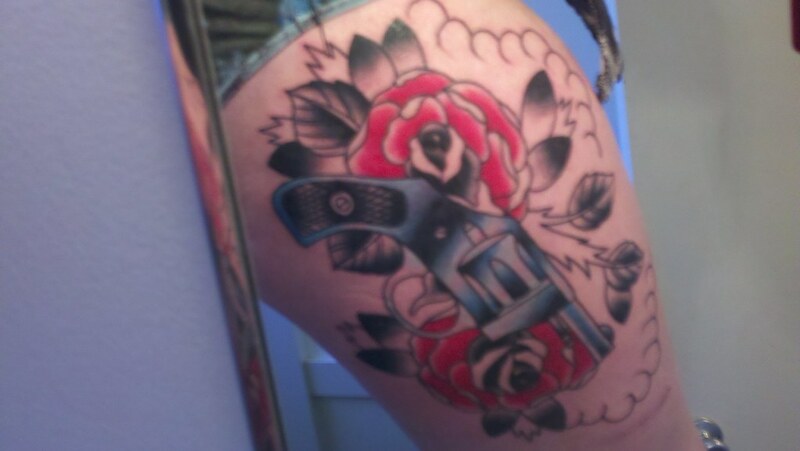 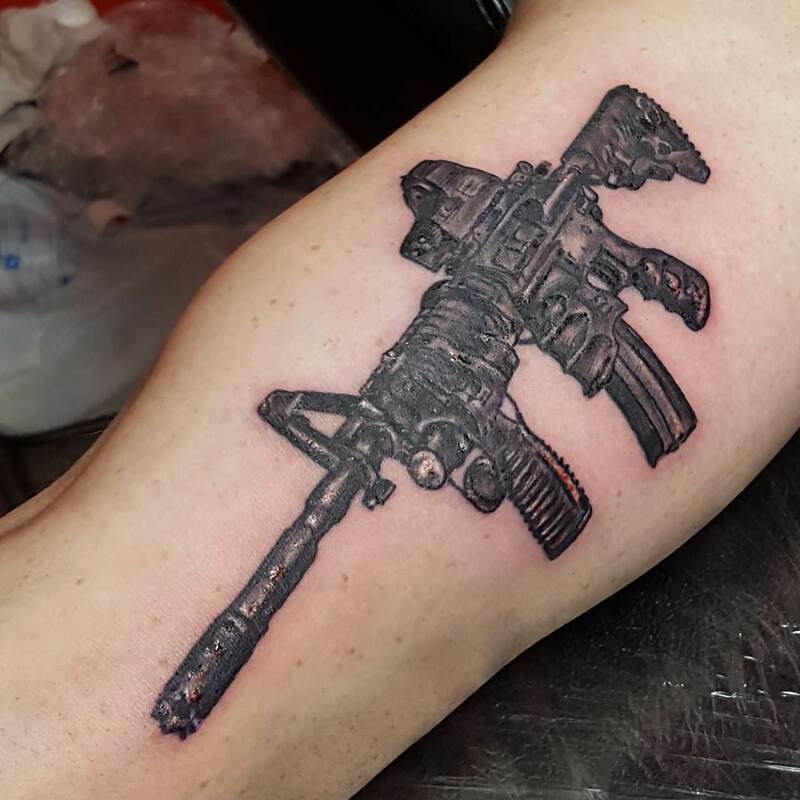 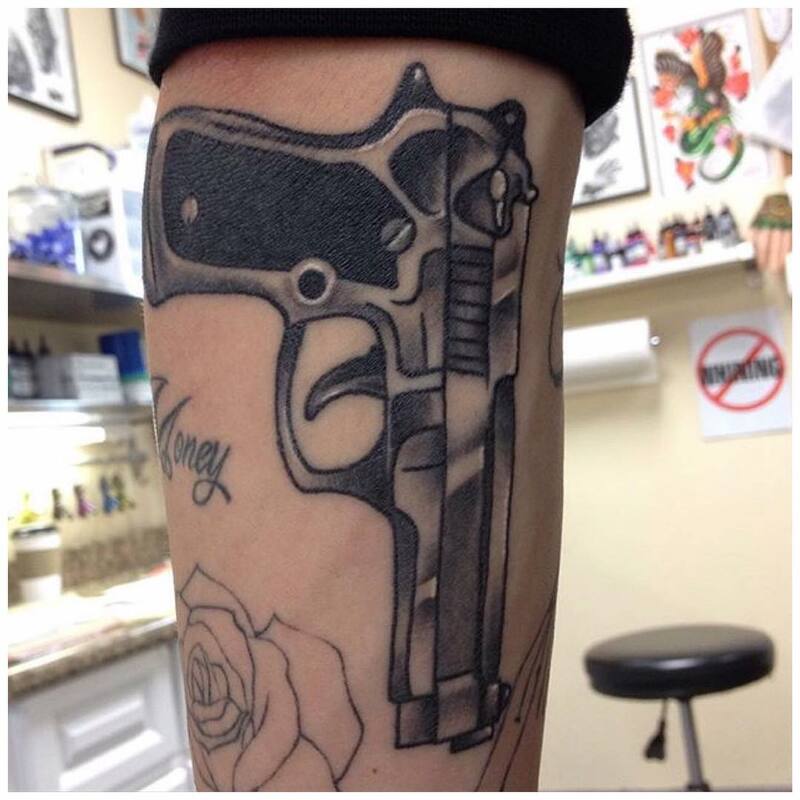 A smoking gun tattoo is a typical yet amazing representation of a gun. 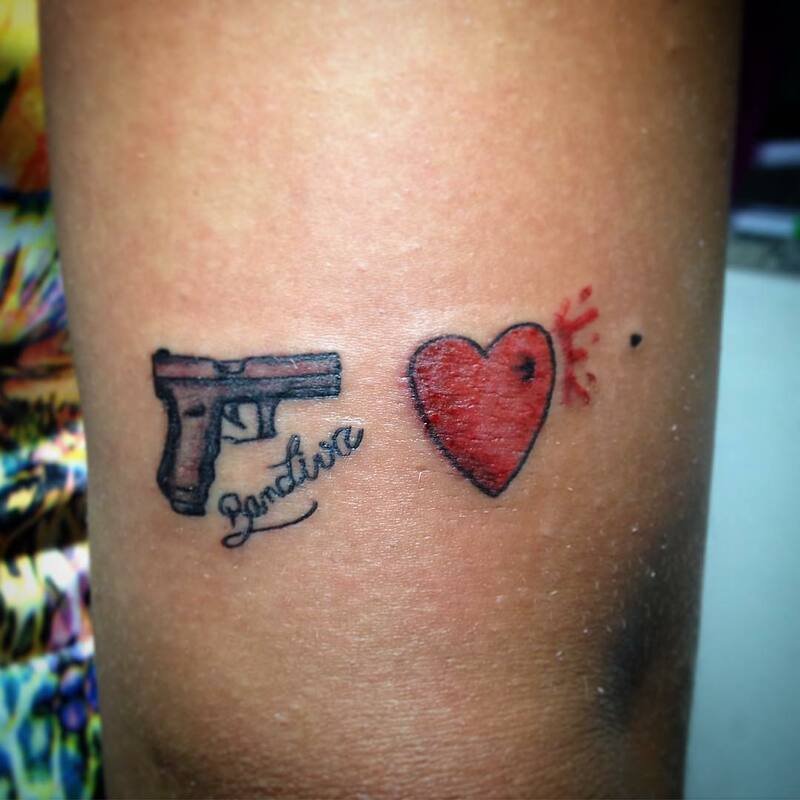 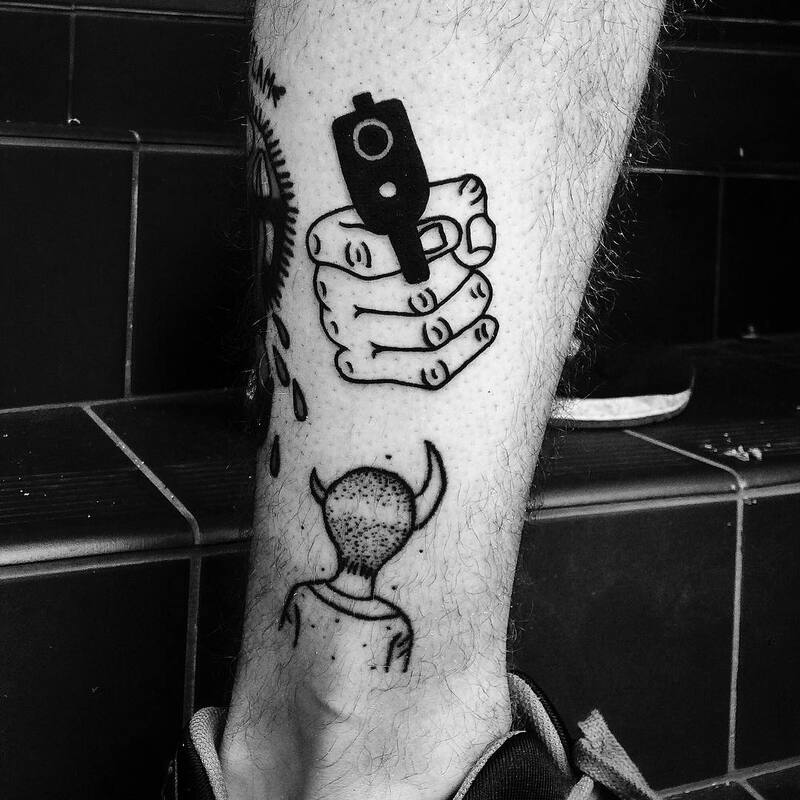 Since guns symbolize the thirst for power and strength, smoking gun tattoos symbolize violence more than other pistol tattoos. 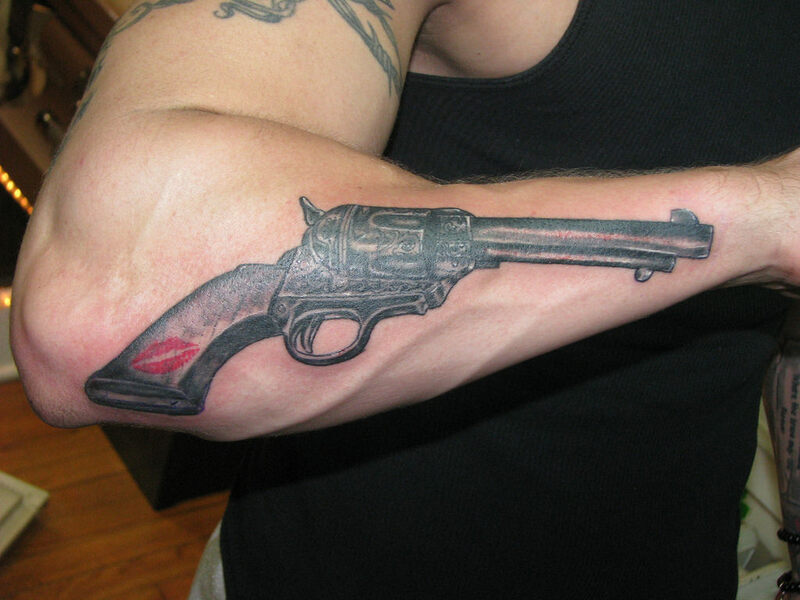 The smoking gun shows the bullet was already shot and there is nothing to take it back now. 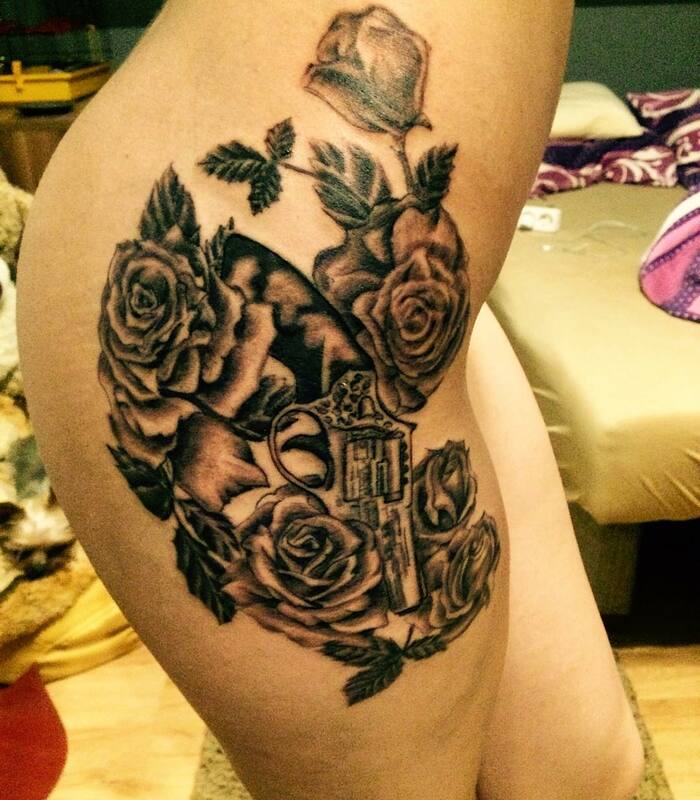 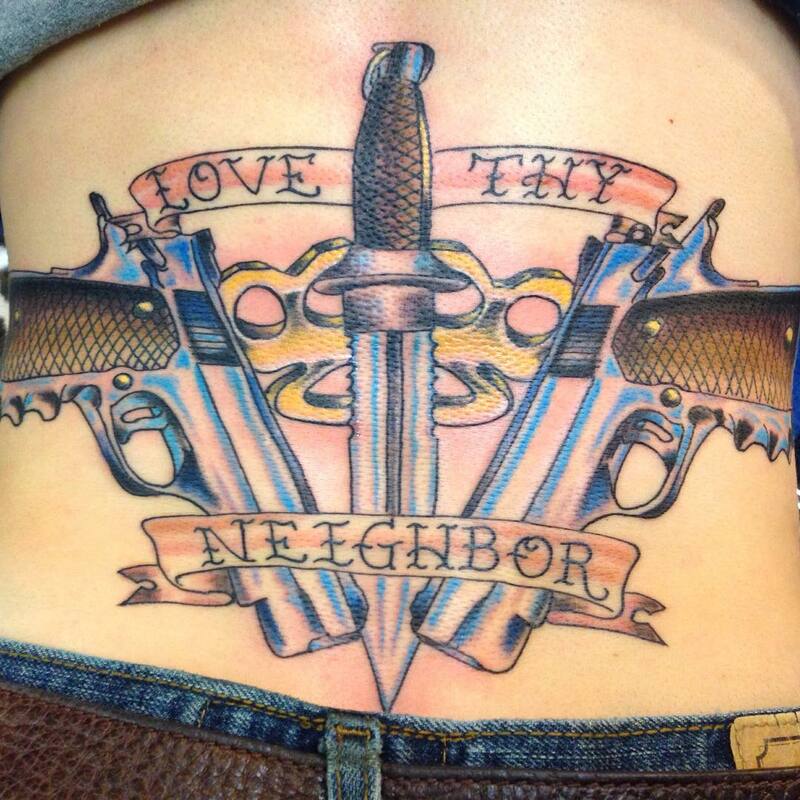 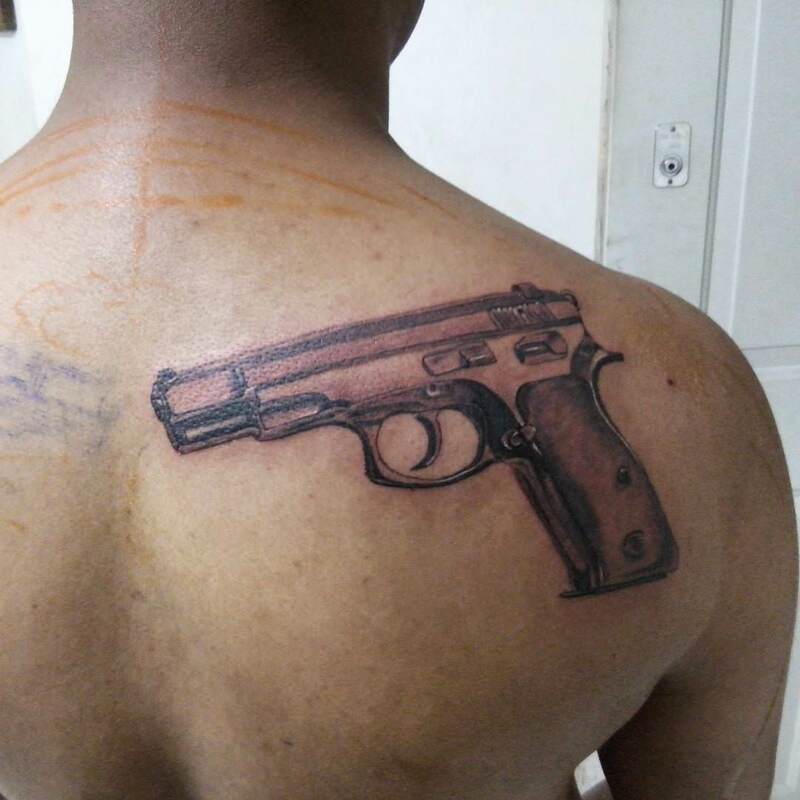 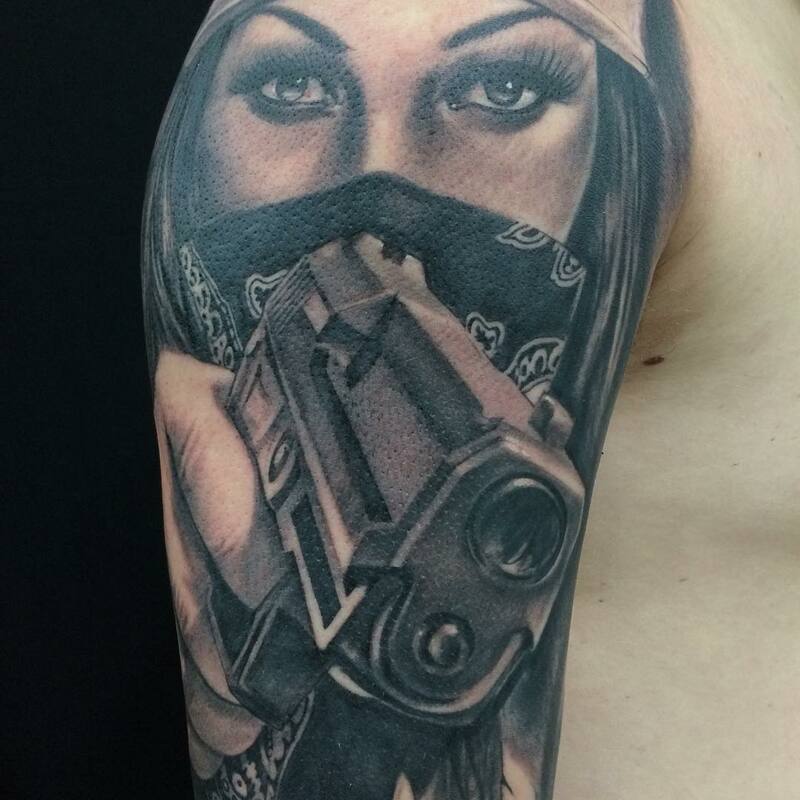 Gun tattoos with roses are usually associated with bounty hunters, soldiers, policemen, criminals and so on. 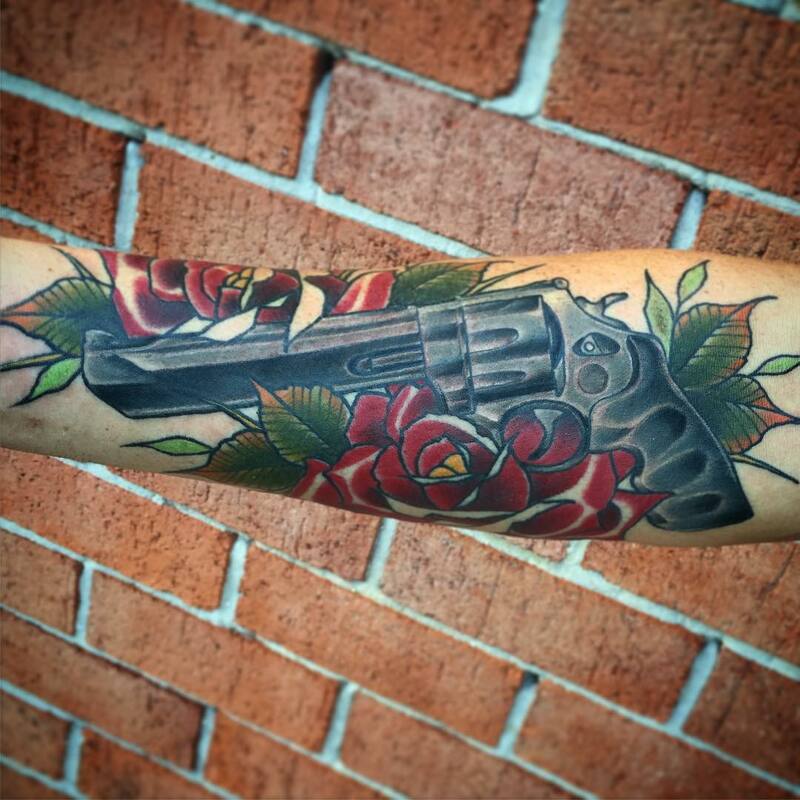 This symbolizes that bullets always lead to bloodshed and destruction, which makes the gun with roses tattoo seem like an appropriate representation of destructive beauty the gun possesses. 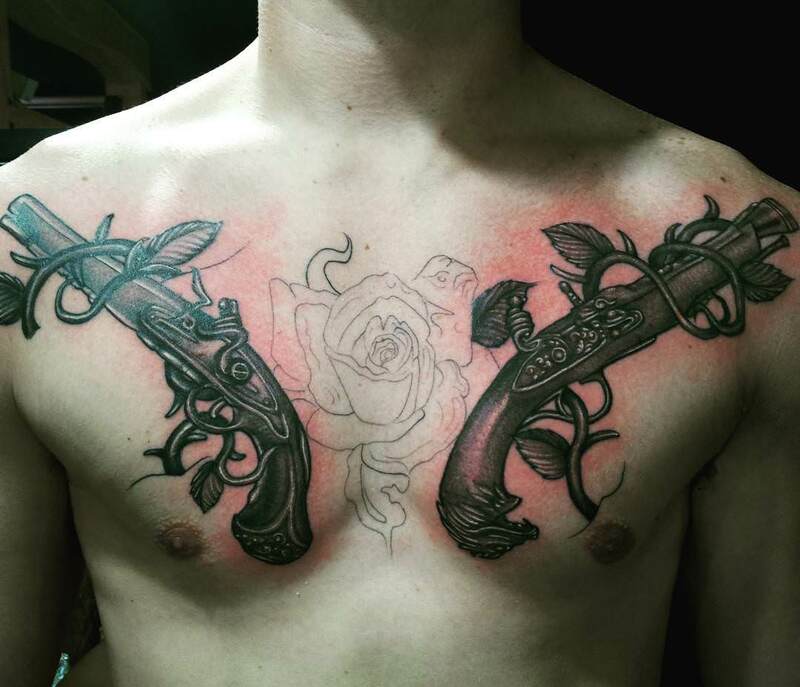 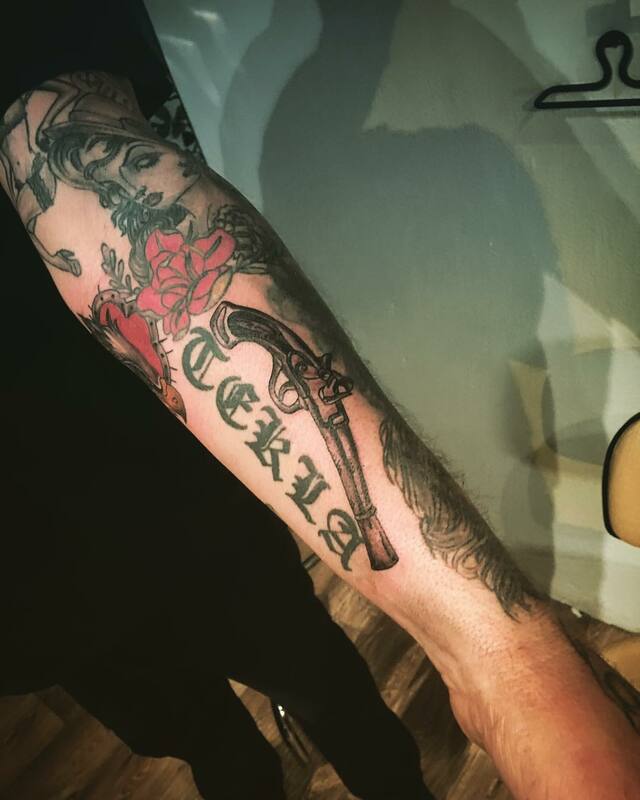 When people choose to get a gun with roses tattoo, they generally choose a few words to add to complete the meaning of the tattoo.